Kevin M. Hablewitz, CPA - Sitzberger & Company S.C.
Kevin is a Principal at Sitzberger & Company where he works with numerous small business clients, non-profit organizations and individuals in all areas of accounting, taxation and auditing. 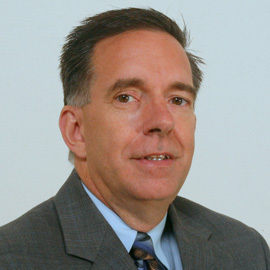 Kevin has been a speaker at numerous seminars over the years, primarily in the area of tax planning. Kevin began his career in 1990 with Hau & Associates S.C., starting as a staff accountant and eventually becoming a shareholder. He remained with Hau & Associates S.C. until the firm became part of Sitzberger & Company in 2014. Kevin lives in West Allis with his wife and 3 children. He enjoys spending time with his family and following local sports teams.